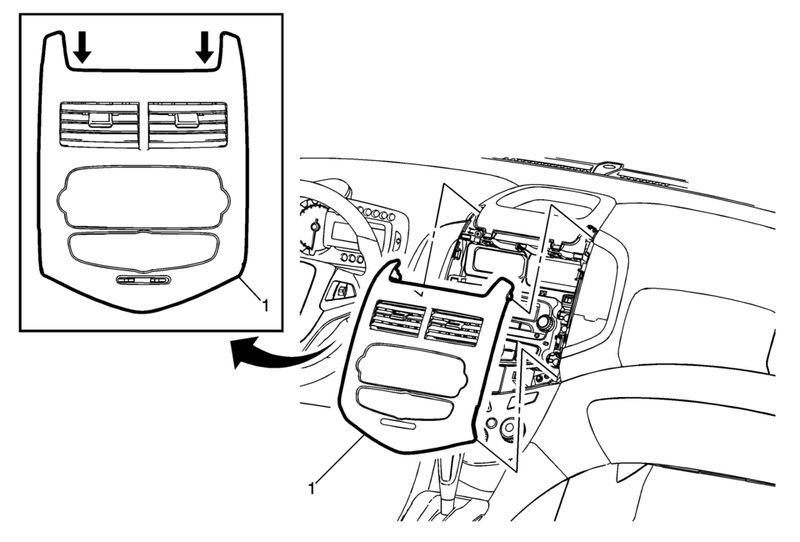 Use a flat bladed plastic trim tool in the shown locations, then rotate the trim tool 90?° to release the top of the molding away from the instrument panel assembly. Grasp the molding with both hands, one on each side of the air outlets, and pull straight back, working from top to bottom. When replacing the center molding assembly, transfer all necessary components.